Sorry for the delayed posting, I’ve had a crazy few weeks! But this post is about Italian food so it’s worth the wait. Sam and I ate a lot of delicious Italian food on vacation, so this week we were on a mission to find some great Italian food here in Raleigh. I know there’s a few restaurants to chose from, but this time we decided to try Gravy. I’d been once before on restaurant week. I remember it being good, but since it was restaurant week they didn’t have their full menu. I had the Salami Risotto, which as you can tell from the photo, was incredibly delicious. 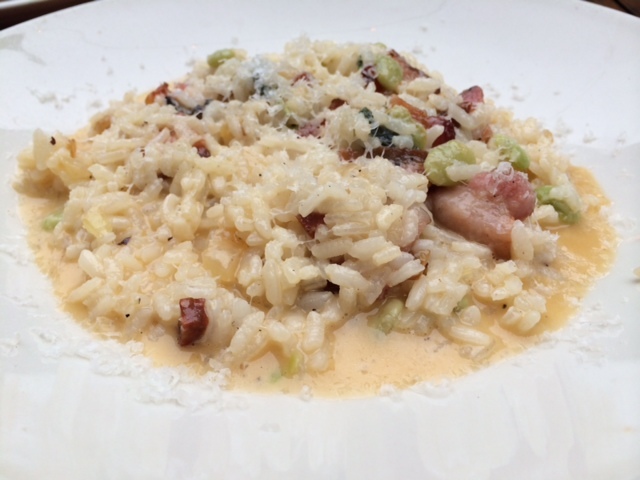 I’m pretty much always a fan of risotto, but this was especially rich and creamy. I was pleased that the salami wasn’t a huge presence in the dish, because even the tiny little pieces had a really strong taste. 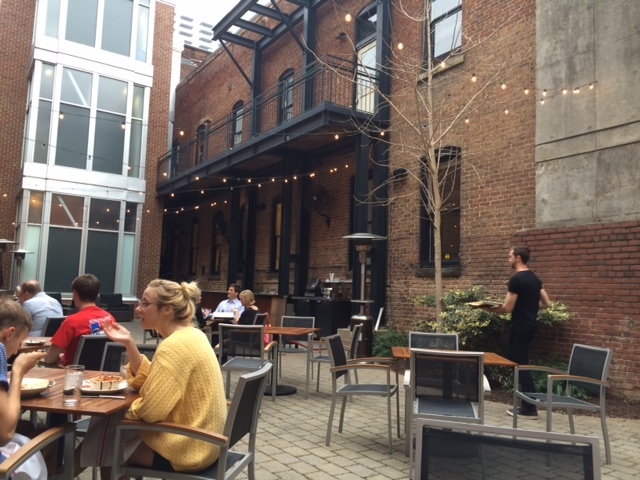 As an added bonus, we got to sit out of the patio, which I didn’t even know existed! If you end up going on a beautiful day like we did then I definitley suggest eating out there. 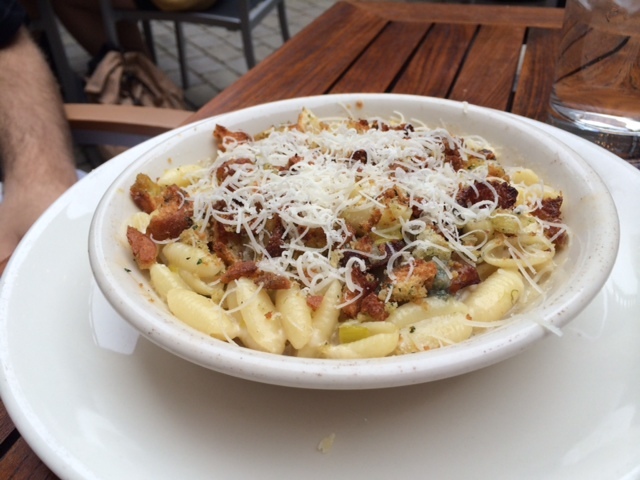 Sam got the Baked Pork and Cheese Cavatelli, which the waitress described as adult mac and cheese. His was really good too, definitley a fancier mac and cheese. It didn’t have as strong of a cheese taste as you would expect mac and cheese to have, which I actually really liked. In conclusion, Gravy is definitley a good spot to go if your craving Italian food in Raleigh. It is a little bit of an American take on Italian, with very few “traditional” dishes on the menu, though. The two dishes we got were excellent, as were the garlic knots that came before the meal. A restaurant named Gravy? Looks tasty.